This item is also available at my Etsy store. 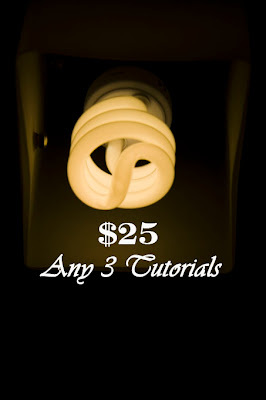 I made this option available for people who had already bought some tutorials before I offers the ALL Core Tutorials package. PDF format document will be sent to the E-mail address set in your Etsy account within 24 hours or lesser upon payment received. If you're interested in buying this tutorial but seen it had been sold, check back again or send me an E-mail so that I can make it available again. Been quite some time since last i purchased yr tuts.